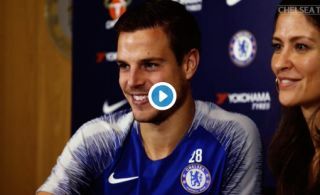 Chelsea have confirmed a new four-year contract for defender Cesar Azpilicueta with an emotional video tribute on their official Twitter page. The Spaniard has been a superb servant to the Blues down the years, working his way up from being something of a utility player to one of the team’s most important defensive players and leaders. Chelsea fans will be delighted to keep hold of Azpilicueta until 2022, and may shed a tear or two at watching this clip below of his finest moments. Azpilicueta also details his love for the club and how much of an honour it was for him to join in the first place. CFC also recently tied down N’Golo Kante to a new deal and will hope Eden Hazard follows suit in the near future.